If you got your permit after April 2011 you have to carry out the 12 EDT driving lesson syllabus. We understand you are enthusiastic to get test ready so we focus on helping you through the EDT program without delay. 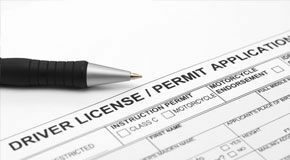 Please keep in mind you need to have held your provisional for a minimum of Six months before you can submit an application for the driving test. We take your driving test success personally. Our method is simple. We enable you to think like the examiner so you understand what to anticipate and how to perform. If time is running out we don't waste time on areas of your driving that are good. We focus on the bad practices and on the elements of your driving that are most likely to lead you to fall short. We don't waste time on components of your driving that don't need improvement. Doing things this way means you get the most benefit from every pre-test lesson and have the greatest possibility of passing this time around..
Having problems managing a gearbox? 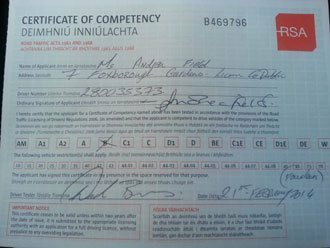 We get numerous calls for automatic driving lessons in Terenure and have expert automatic instructors in your town. We've a good number of approved driving instructors in Terenure. If you want a woman instructor in Terenure we have one. Should you want to switch driving instructors at any time, you can. 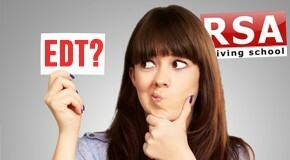 There are so many things to consider when looking for the right driving school? Many of our students tell us they looked for a driving school by doing online searches for 'driving lessons Terenure' or 'Pretest lessons in Terenure'. There are so many driving instructor websites out there, all fighting for your attention with impressive, shiny designs and cheap special offers. But for our students and many others, our site stands out not because of slick web design but because of our testimonials. Inspiring and confidence boosting stories of students that chose to learn to drive with us and smashed the test. It's hard to manufacture buzz like this! You may have noticed the RSA School of Motoring in the media lately...more and more often, actually. Local papers have taken an interest in our success, our Facebook popularity grows by the minute, and our website happens to be a popular spot as well. That's because a good thing is something to talk about... our reputation reflects our popularity with our students and our extremely high success rate. 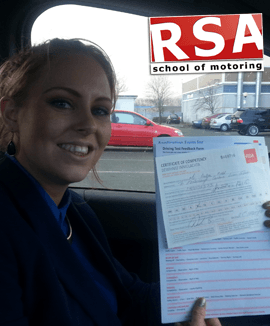 There is no better feeling in the world then seeing someone that you have helped pass the driving test, celebrate and want to share the good news with the everyone around them.